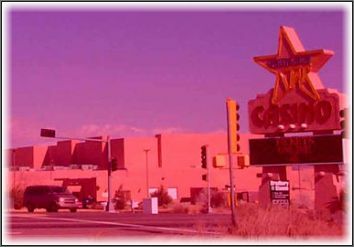 Players at the Santa Ana Star Casino now have lots to cheer about as the casino has announced that it will send winners of its promotional drive in Easter week to holiday destinations within the US. The promotional event named “Jet..Set..Go” being held till March end will announce names of three lucky players every week that will be given options for holiday spots across several destinations in United States. Lucky draws will be held every Saturday and players have to collect points on their Star Rewards Club Card to qualify for varied vacation venues and can get one entry for every 500 points earned in playing their favorite games. Winners can choose from several locations like Alaska, Anchorage, Seattle, Las Vegas, Nashville, New York, Philadelphia, Cape Canaveral, San Francisco, Chicago, Honolulu and St. Louis. To increase their points players can try out 3X Hump Day on every Wednesday of the month. Star Rewards Club Members can earn three times their regular points and five times if they play between noon and 5 PM on Wednesdays. All players of Santa Ana Star Casino can increase their chances by trying out $33 hot seat draws where three winners will be selected at random between noon and 8 PM every hour. Patrons here can drive away in a cool new car this March which can be won during “$150000 CAR-nivale of Cash”. Besides a new Chevrolet car, patrons will also get to win $10,000 cash prizes based on drawings made between 2 – 6 PM every Sunday. Besides the “Madness in March” draw, guests can earn bonus payouts for blackjack win. There is also the “5K Friday Loyalty Play” wherein every Friday ten winners will be chosen to receive $50 as loyalty to play between noon and 9 PM. Thursday at San Felipe Casino start with “3X Points” promotion wherein customers can redeem points for free play, casino games purchases and also to purchase gas.